we walked barefoot on a sandy beach and said "I do"...the ironic reality is that we never actually said “I do” in our vows.... figuratively we did but somehow the two words that we had jokingly expressed we wouldn’t forget were missing from the ceremony script. we exchanged our vows at the altar and just after the beautiful kiss moment we smiled & whispered to the minister…we never said I do. :) But in our hearts, where it mattered most, is where we pledged it…”I DO”. Forever. To each other. To us. To love, life, companionship, dreams, hopes, fears, adventures, romance, joy, pain. Through the good and the bad, the laughs and the tears, the successes and failures. We would fight for US through the trials and storms. be each other’s top cheerleader. Encourage each other. Protect each other. LOVE. It has been an amazing 4 years of learning how to really live this thing called marriage out. Learning to be completely transparent, honest and vulnerable is not always easy but is necessary to have a healthy strong marriage relationship. To live life from the heart & dream together has been an exciting challenge. An incredible journey where we are continually discovering new things about who we are, where we’re going, how to love and be all that God has created us to be. We wouldn’t be where we are today if it wasn’t for our relationship with God and allowing Him to continually change us and be first in our lives. We are thankful for amazing friends & family that have walked with us along the way. Your spouse is worth fighting for, believing in and loving daily. it has been a fantastic ride... we will walk barefoot on many more beaches with each other and say little soft "I Dos" forever. 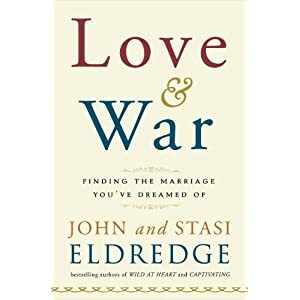 We just picked up an amazing marriage book that we highly recommend to married folks if you want to grow even deeper and “find the marriage you’ve dreamed of” as the book portrays….check it out! So blessed by this blog post, and insprired to say my own "I Do's" in 7 short months. I'm also excited that you and Tammy will be there to witness, bless, shoot, and pray over our union. Thank you so much for sharing...and reminding us all of what love can look like. I'm so glad I was able to witness the beginning of your marriage journey! HAPPY ANNIVERSARY DAVID & TAMMY! we love and miss you guys. let's hang out soon. but not today. That was extremely encouraging! Happy anniversary guys! Tammy, this is a beautiful post! ;) We love you guys and are so blessed to call you friends! I enjoy the blur around the edges it suggest the swoon of the moment. Awesome authors! So I am sure the book is great. I love your photography as well. I have been following your blog for a long time years now, but never commented. I hope God blesses you with many more years together! thanks for the love and encouraging comments friends!!! victoria - thanks for the comment & for your compliments. :) it's always a pleasure to meet new amazing people on here!